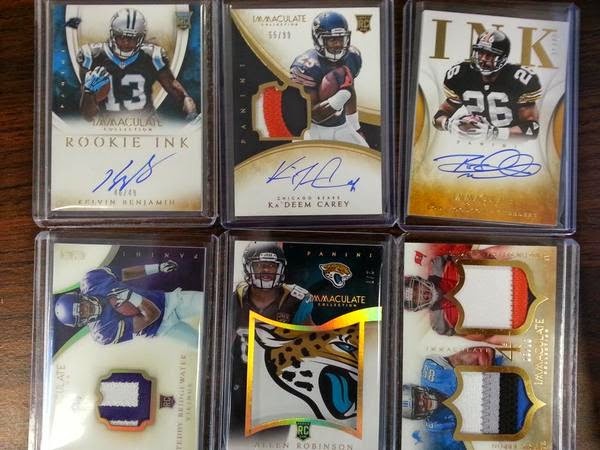 How could there be too many super hits to list? 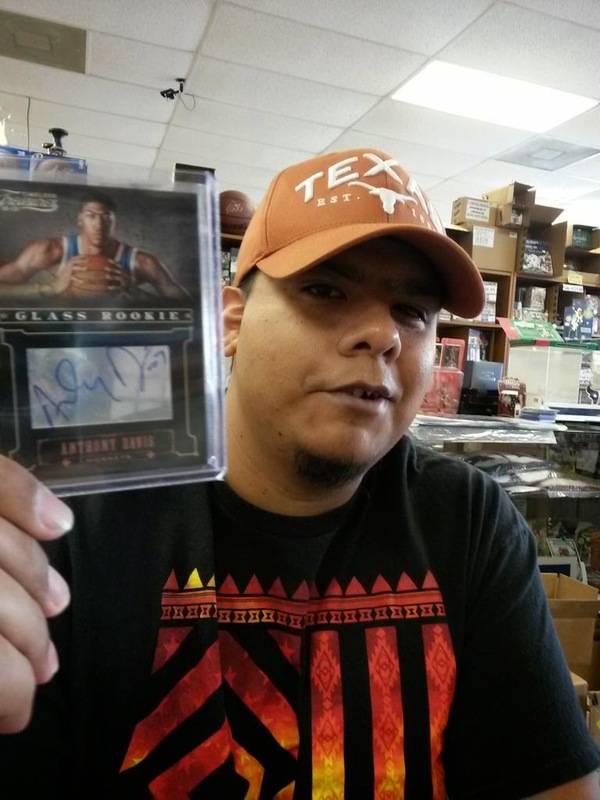 Collectors came from all parts of Texas this weekend to pick their box from the BEST CASES in The Hobby at the LOWEST Prices in The Galaxy (all of Texas). 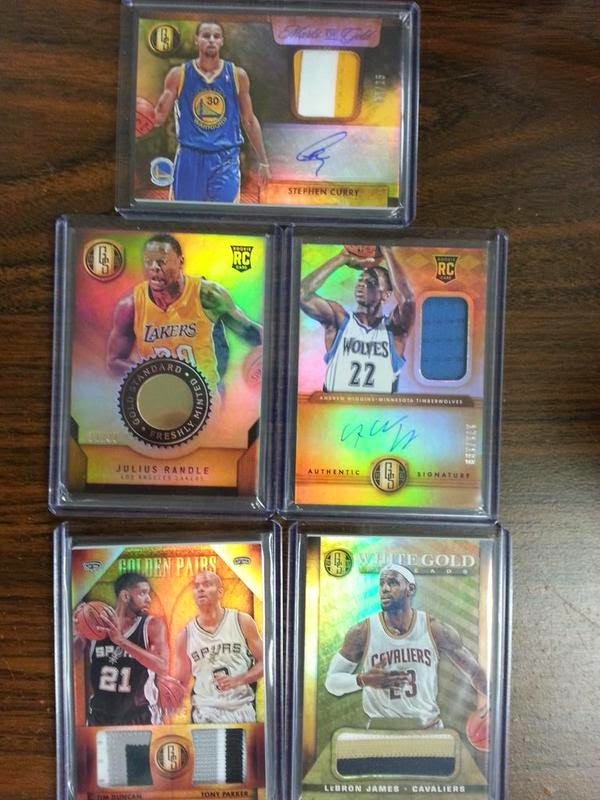 Collectors were buying and pulling faster than I could take pictures. 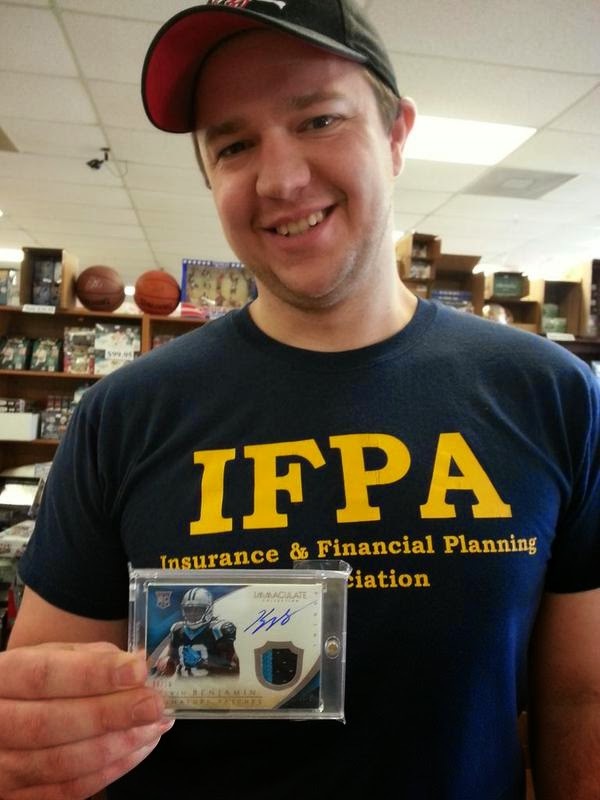 Such was "2014 Immaculate Football Release Weekend" at Sports Cards Plus, a.k.a. The Super Hit Factory. 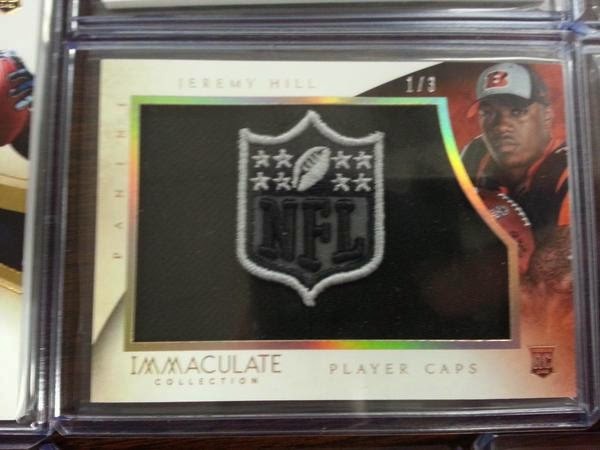 supply of 2014 Immaculate Football ($375 per box). 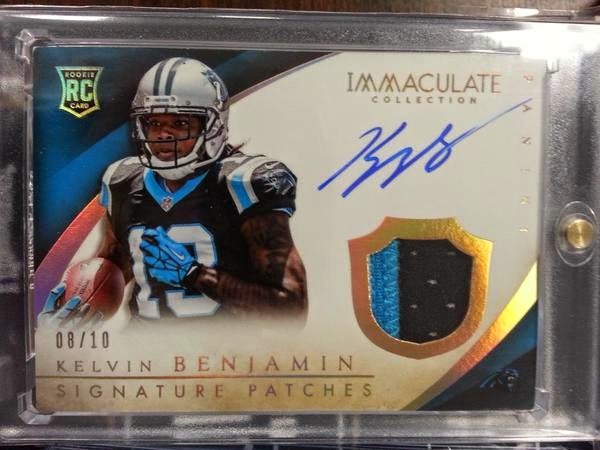 Don't worry, 10 more cases of Immaculate will arrive Monday and Tuesday. 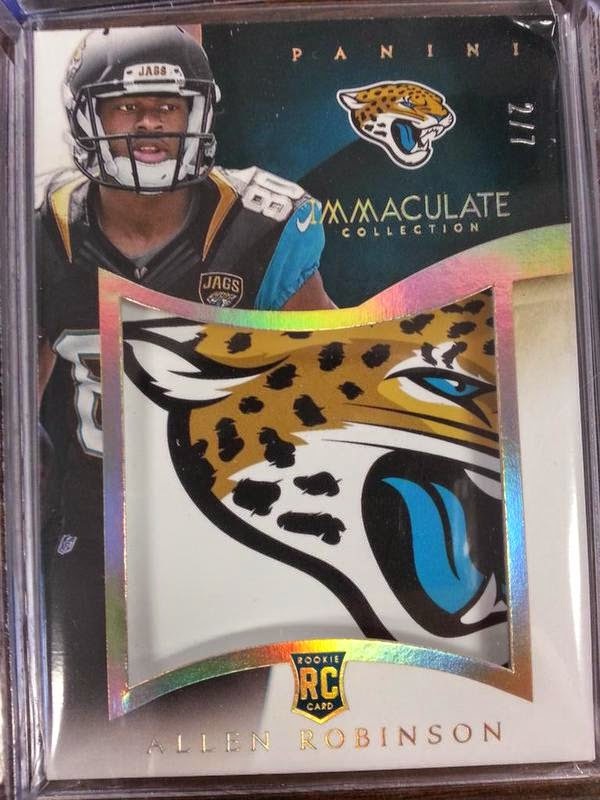 So, if you want to "Ooooooo and Ahhhhhhh" over some amazing cards, go to Sports Cards Plus on Monday and view the greatness which is 2014 Immaculate Football. 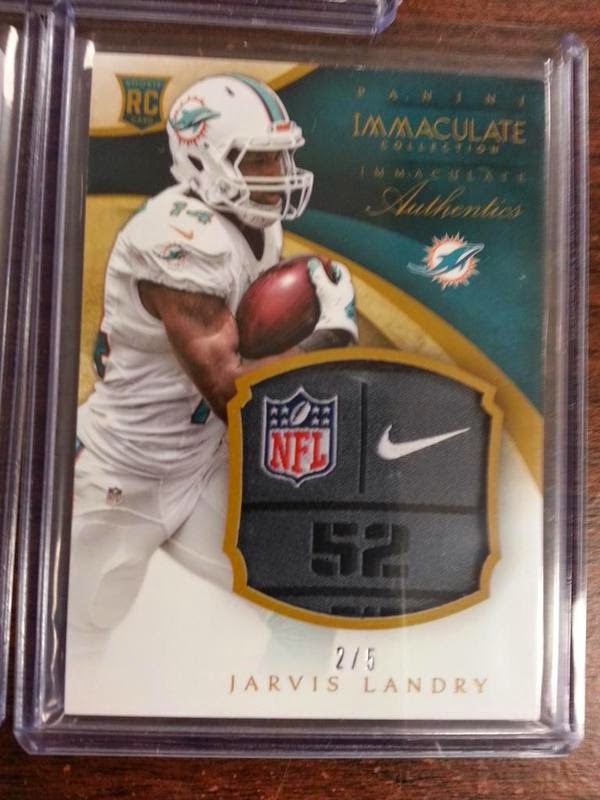 Some of you may not collect Football. 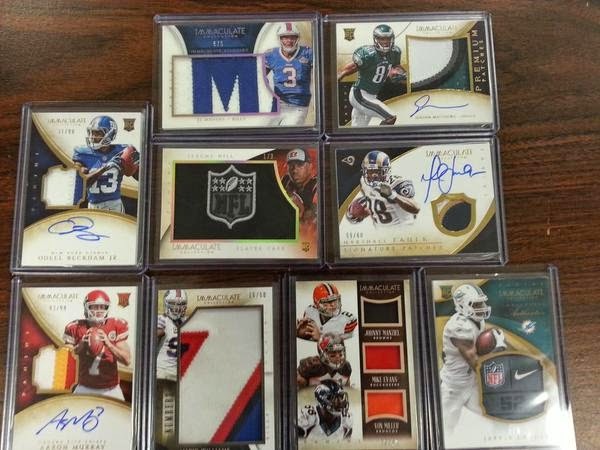 At Sports Cards Plus, we have it all: Baseball, Basketball, Football, Hockey and more. 1. An all expenses paid trip for 2 to the 2015 NBA ROOKIE PHOTO SHOOT in New York City. 2. 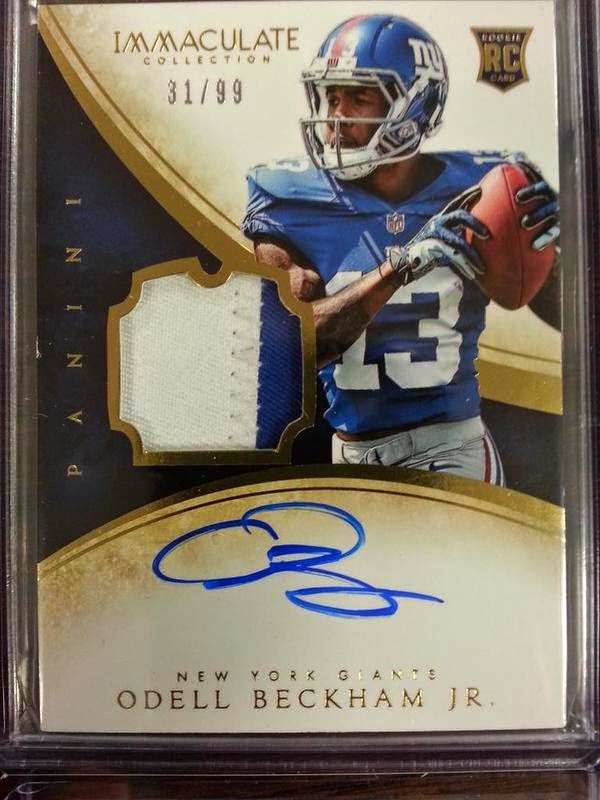 Four Winners will receive "A Year's Supply of Panini Trading Cards." 3. 125 Winners will receive "An autographed Draft Day Ticket or 8" by 10" Photo. 4. 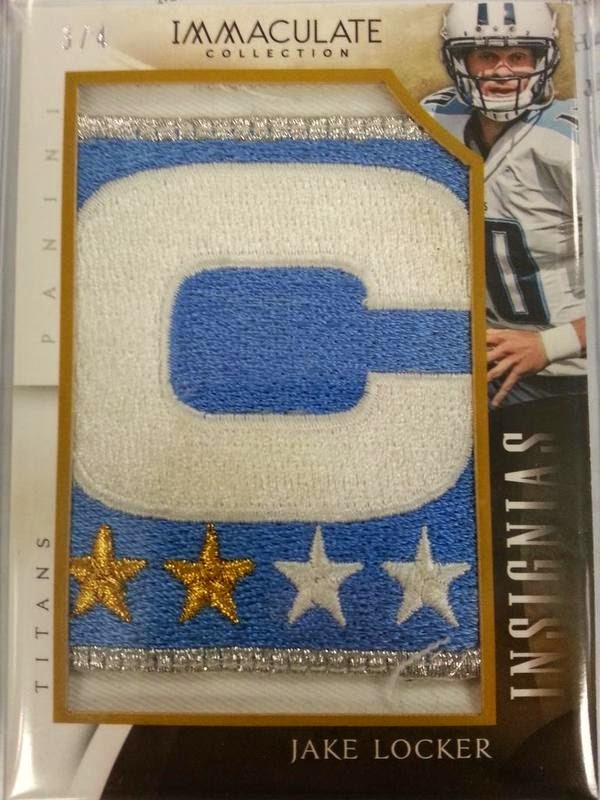 500 Winners will receive "Exclusive Panini Trading Cards." Wait, there's more! Get a FREE Entry to our $500.00 February 28th Drawing with your purchase of $20 or more! So, what are you waiting for????? 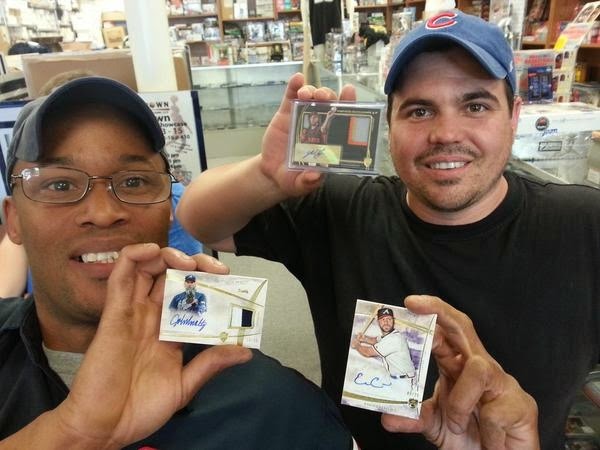 Go To Sports Cards Plus TODAY and get your share of the action and fun. 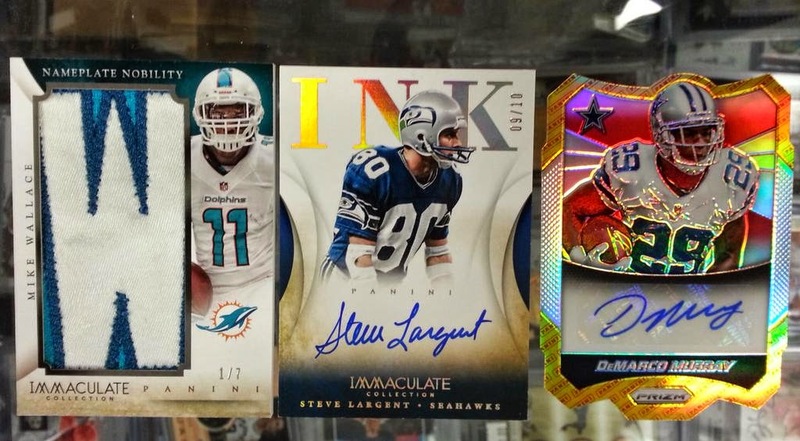 If you didn't make it in to Sports Cards Plus this weekend, here are some of the hits you missed.